Heart shaped box filled with 10oz. 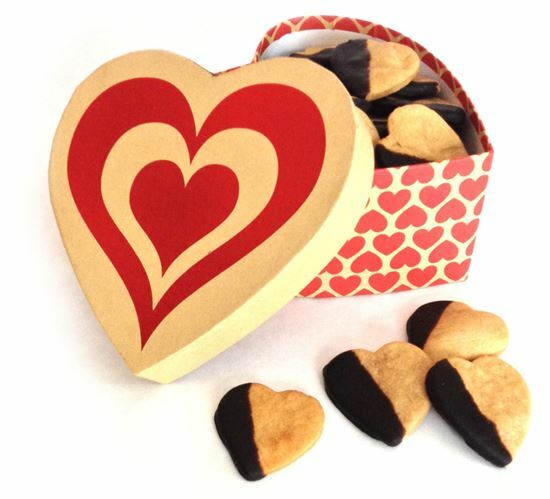 of our handmade Peanut Butter Carob dipped hearts. 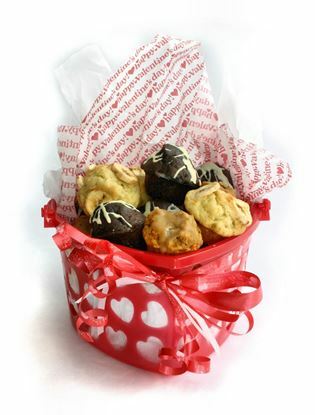 For that special furry Valentine, nothing will please more than this heart shaped basket filled with an 18 count assortment of our delicious muffins. 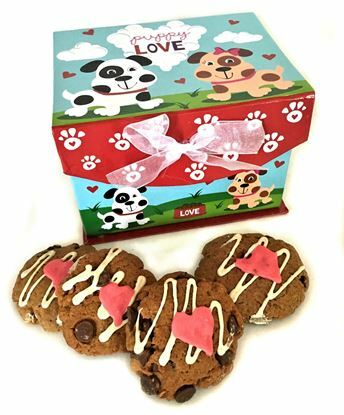 Tucked in our festive Valentine box is 3/4 pounds of our Peanut Butter Cookies loaded with carob chips, then decorated with Valentine hearts and colors.